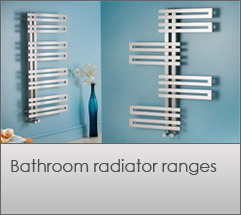 We are a UK Gloucester based radiator distributor and manufacturer, supplying high quality central heating designer radiators, towel warmers, heated towel rails and accessories. 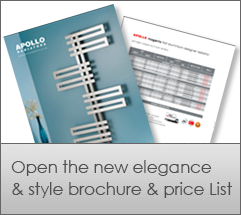 At Apollo Radiators the emphasis is on quality products at sensible prices available from stock. We are able to offer many of our radiators in 46 powder coated colours within 20 days. Standard finishes are available from 3 days. We distribute throughout the UK to a wide range of independent merchants, as well as to the national merchant groups. Our vertical, horizontal and low level room radiators, can be chosen from our different ranges of contemporary steel designer radiators, stainless steel decorative radiators, modern aluminium radiators, classic steel column radiators or traditional cast iron radiator ranges. 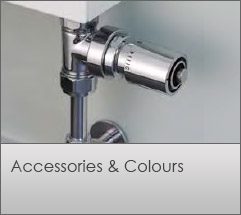 We have a huge choice of bathroom radiators, from contemporary stainless steel designer towel rails to traditional UK manufactured brass towel radiators with chrome and nickel finishes and steel ladder style rails complete with a variety of dual fuel and electric options. 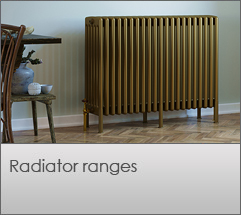 Our room and bathroom radiator ranges enable you to choose radiators to match the style and compliment every room in your house. All of our radiators are manufactured in Europe.